3600 SQ.FT. 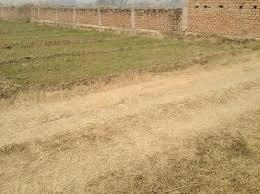 LAND FOR SALE IN KANKARBAGH, F SECTOR. IT IS ESTABLISHED MIDDLE CLASS RESIDENTIAL COLONY. THE FRONTAGE OF RESIDENTIAL PLOT FOR SALE IN ANISHABAD IS 40 FEETS AND THE DEPTH IS 90 FEET.ON A 30 FEETS WIDE PRIVATE ROAD OF COLONY. OFFER PTICE :- 2.75 CRORES. Land for sale in Kankarbagh is listed rarely and therefore to buy land in Kankarbagh Colony one has to be in look out for long times. Kankarbagh was once touted as Asia's largest colony . Being a well established premier colony of Patna sale of properties in Kankarbagh is once in a while occurence. 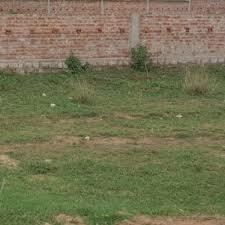 Kankarbagh colony, or garden of kankar (stone chips) is spread in an area of around 900 acres. But a number of smaller colonies have sprung around Kankarbagh, though they are not that planned. This colony is divided sector wise and there are parks and other amenities are spread in the colony. There are almost 30 to 35 parks in Kankarbagh in which Kumhrar Park,Shivaji Park and Lohia park are the most popular.There is sports complex also in Kankarbagh, known as Patliputra Sports Complex. This colony is laced with all facilities for the people living here. Many Schools are there in Kabnkarbagh for the better education of children. Established back in 1960s, and as it spans in such a huge area, there are numerous big and small colonies in it. It stretches roughly from Panch Shiv Mandir in west to Kumhrar in East in present times. Kankarbagh is well connected to main areas of Patna by mini buses. Auto-rickshaw and cycle rickshaw are available at most times. Patna Junction is a Kilometer away from Kankarbagh main road. Patna Airport is located about 4.5 Kms from the Kankarbagh Mor.